Our sandalwood fans will bring the grandeur of exotic far-away places to your special event. 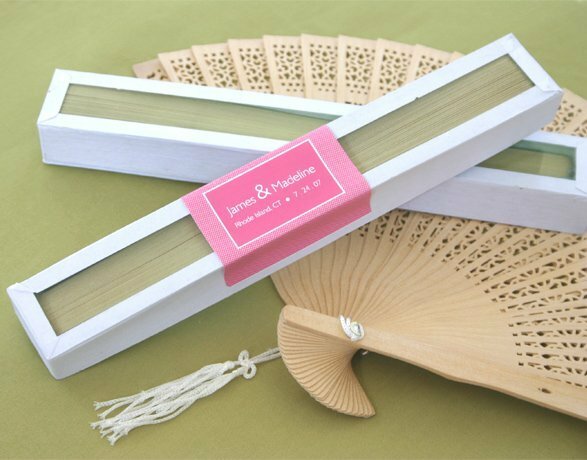 Perfect as wedding favors, our fans have a light scent, a white tassel and come in a white glass top gift box. 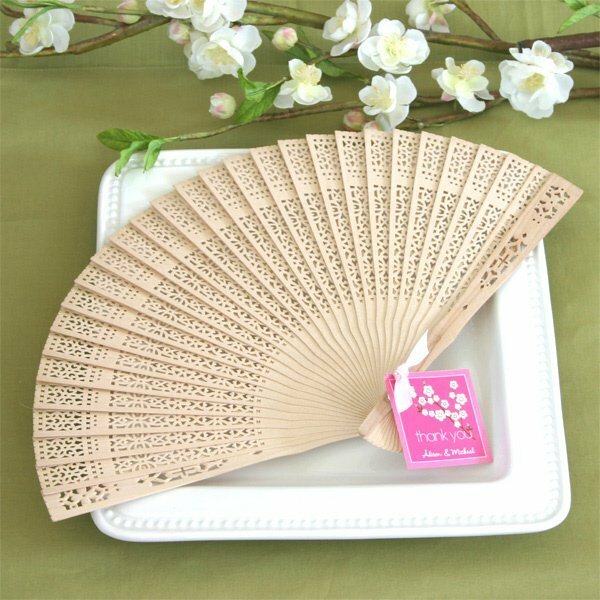 They are an ideal summer favor for outdoor weddings to help keep your guests cool and comfortable. Each of our sandalwood fans wedding favors measures 8" in length when folded.